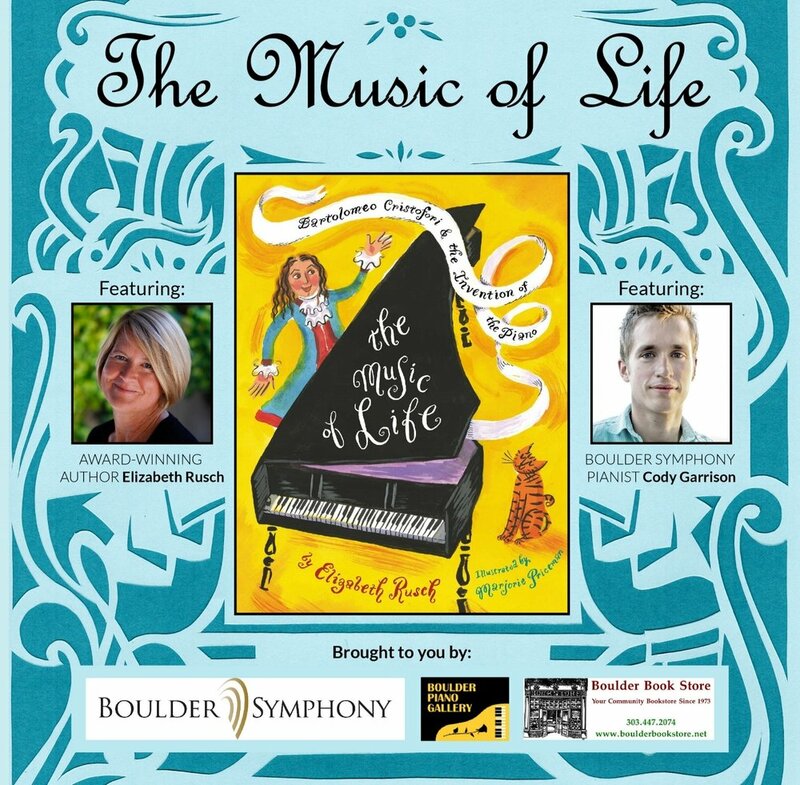 Boulder Symphony is proud to join forces with Boulder Piano Gallery and the Boulder Bookstore to present this special and unique event! Join award-winning author Elizabeth Rusch for a special narration of her book, The Music of Life, accompanied by soloist and staff pianist, Cody Garrison. Monday, May 7th at 6 PM - at the Boulder Piano Gallery.